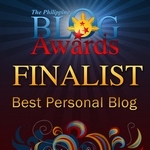 MICAMYX.COM is the personal blog of Dagupena Dreamer Micaela Fransesca T. Rodriguez a.k.a. Micamyx in the blogosphere. She usually blogs about her views and opinions mainly about family, work, friends, blogosphere and life in general. She recently turned 25 26 years old and she claims that she possesses the characteristics of a true Taurus – creative, talented, dependent, stubborn, trustworthy, loving and emotional. She was born and raised in Dagupan City and finished a degree in Bacholor of Science in Information Technology at Lyceum-Northwestern University, where she graduated with Leadership and Loyalty award. Her Loyalty to her alma mater is unquestionable since she also lived inside the campus for fifteen years. She used to work as a Web Marketing Specialist in one of the most controversial clinics in the Philippines. She is currently working as a part of the editorial team of the leading showbiz magazine-tabloid in town. Aside from her day job, she is also a problogger in her own right and is working on a number of scripts. She is hoping that someday, her works will be recognized in the industry. She never had a boyfriend, but she has a lot of male friends. She is a loving sister to a special brother and the bestfriend of her mother. She is currently sipping a cup of hot mocha as she types this page so please understand her present condition. You can find her rant about random things at Micamyx. She’ll entertain you with her videos at P52W. She’ll take you to places you’ve never been before at Senyorita. Read her soft side as a sister to a special child at Missing Carlo. She’s also blogging in other sites, but she’d rather not disclose it here. Have more questions? Feel free to e-mail her at me@micamyx.com.